The weekend holidays are just around the corner and you feel like you badly need a break from the continuous cacophony of the life. However this time, are you looking out for some exciting trip, towards the wild side and want to avoid the usual trips to mountains or beach? If it is so, pack your bags and embark on a trip to Kanha forests in Madhya Pradesh, that serves the perfect destination to soak up the wilderness. Plan out your trip with Kesari tours and spend wonderful holidays in Madhya Pradesh. 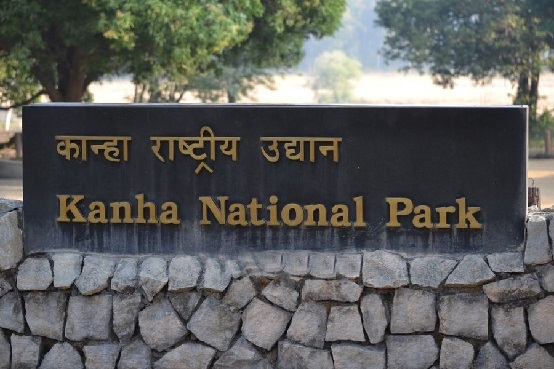 Engulfing an area of 940 square km Kanha National park is one of the best parks in India.The pristine forest is the heavenly paradise for the wildlife enthusiasts and nature lovers.With a thrilling safari explore the abounding vegetation, jaw-dropping fauna along with the fascinating avifauna. 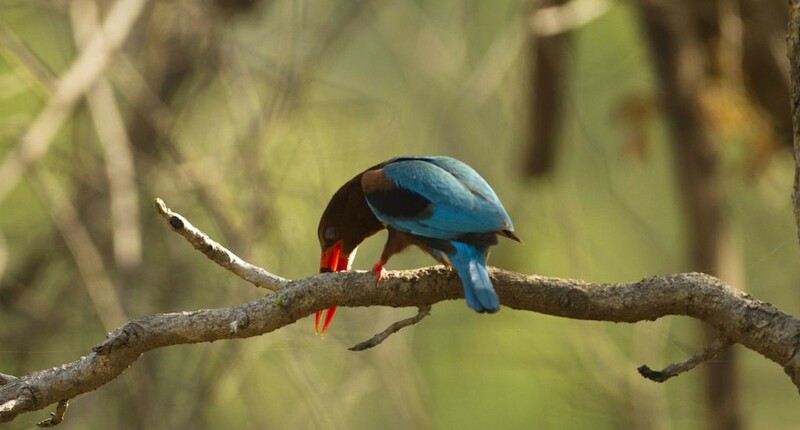 As you get deep into the forest you can spot out the beautiful animals like Sambar, the stripped Deer, the Bison, the Barasingha and many other beautiful birds in their natural habitat. For entering into the Kanha forest there are 3 gates. Kanha-Kisli gate, Mukki gate and Sarai Gate. A trip in the Kanha forests of Madhya Pradesh remains incomplete without the sight of the tiger.If you love adventure you must visit this place to get in close encounters with the tigers.It’s better to visit the forest in the morning as well as in the afternoon, to experience the various modes of the forest. If you are lucky enough you might get a glance of the famous Royal Bengal tiger. It’s a sudden thrill when we come across a tiger roaming freely in the wilderness of the dense forest. The best months to visit this forest is from October to June. 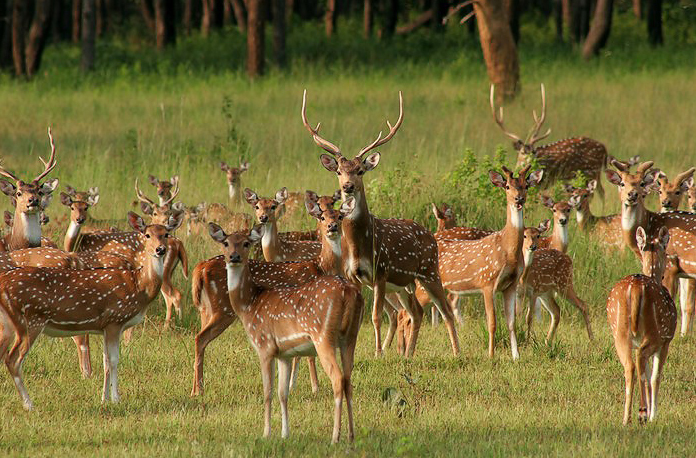 So, gather your friends and family and set out for an exotic wildlife tour, getting your tickets booked from Kesari tours. Apart from the tigers, you will get simply mesmerized by the splendid beauty of nature. Wander through the lush greeneries and catch a glimpse of the ravishing hills. The tranquil refreshing atmosphere creates a perfect environment to relax, unwind yourself and kick back your stress. Whether you are admiring the natural beauty of the forests, or simply tracing the wildlife footsteps, capture every moment to make it memorable. So what are you waiting for? Book your tickets with Kesari tours and head out for an adventurous trip to Kanha forest in Madhya Pradesh to experience the wildlife adventure at its best.